Shortly after his appointment as the country's top diplomat on Sunday, Katz said on television that Poland collaborated with the Nazis during World War II and claimed, citing former Israeli Foreign Minister Yitzhak Shamir, that the Poles were "taking in anti-Semitism with their mothers' milk." "Israeli Ambassador [to Poland] Anna Azari has been summoned to the Foreign Ministry over remarks made by the Israeli foreign minister," the press service said in a statement. The ministry said that the remarks were nothing short of "insulting" and urged the Israeli authorities to react to the incident in an acceptable manner. "Remarks by the new minister of @IsraelMFA @Israel_katz are not only insulting, but also stir up negative emotions between our nations and contribute to increasing anti-Polonism and anti-Semitism. We expect an adequate reaction from the Israeli side," the ministry said via its official Twitter feed. Polish Prime Minister Mateusz Morawiecki warned that Warsaw would not send any representatives to the upcoming Visegrad Group summit in Jerusalem if Israel did not react to the incident in a due manner. Commenting on the summoning, Polish Deputy Foreign Minister Szymon Szynkowski vel Sek stated that Warsaw demanded that the Israeli authorities unequivocally condemn Katz’s allegations. "We expect a strong and unequivocal response from the Israeli authorities to that statement… It is extremely important for us that this kind of statement not overshadow relations between Poland and Israel… In this regard, we expect that [these statements] will become the subject of unequivocal condemnation and elucidation," Szynkowski vel Sek told reporters. He also stressed that the Polish authorities hoped that this situation would not affect relations with Israel. "It is very sad that there are politicians in Israel who are ready to put good Polish-Israeli relations on the altar of political struggle," Szynkowski vel Sek said. Azari was first summoned to the ministry on February 15, following controversial remarks made by Israeli Prime Minister Benjamin Netanyahu. The Israeli leader reportedly accused the Poles of collaborating with the Nazis when commenting on the Polish law that criminalizes any accusations against Poland of complicity in WWII war crimes, including the Holocaust. 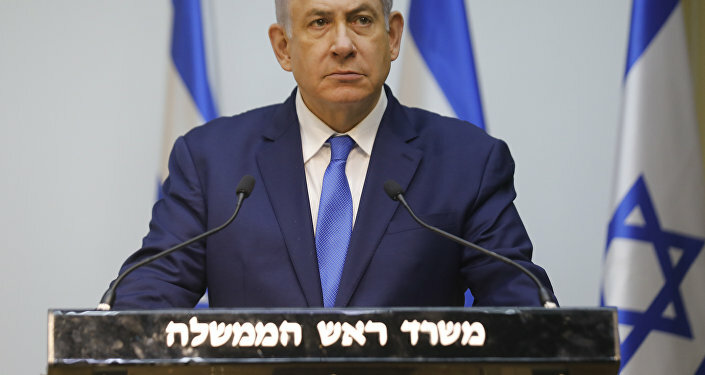 Though the Israeli Foreign Ministry later said that Netanyahu's words were misrepresented by media and stressed that the prime minister was speaking about "Poles and not the Polish people or the country of Poland," the summit of the Visegrad Group, which comprises four Central European states — the Czech Republic, Hungary, Poland and Slovakia and was set to take place in Jerusalem, was slated for Tuesday. Morawiecki's visit to Israel has already been cancelled following Netanyahu's remarks.